Kate Masiello is the Senior Director of Client Relations at the Community Foundation. In this role since 2007, Kate is dedicated to working with clients, understanding their philanthropic intentions, presenting them with grant making opportunities which align with their objectives, building long-lasting relationships with clients and assisting them with their charitable planning. Kate’s extensive experience in development and philanthropy enables her to research and identify philanthropic opportunities that are tailored to each individual’s, family’s or organization’s needs and to facilitate the advancement of each client’s unique charitable goals. The wife of former Mayor of Buffalo Anthony Masiello, Kate devoted 12 years of service to the City of Buffalo as its First Lady prior to joining the Community Foundation. In this role, she actively volunteered throughout the community and has been recognized for her work on behalf of Buffalo’s citizens and as an advocate for WNY’s children. Kate has served as the emcee for many community events and formerly hosted “The Flip Side,” a monthly television program about current events, which aired on public access television. 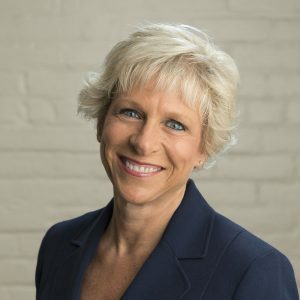 Prior to her public role, Kate worked at the Greater Buffalo Chamber of Commerce as the Manager of Government Relations and at the Greater Buffalo Partnership, now the Buffalo Niagara Partnership, as its Director of Government Relations. She also worked for the New York State Senate Finance Committee as both the Associate Director of Communications and as a budget analyst. Kate received her B.A. in Political Science and M.A. in Public Policy and Administration from the State University of New York at Binghamton. She is a Trustee at SUNY-Erie Community College where she currently serves as Secretary and as Chair of both the Policy and Advancement Committees.